Reports in Washington have suggested President Donald Trump may soon fulfill a campaign pledge on the American embassy, which like all other foreign missions is currently located in the coastal city of Tel Aviv. “We warn against such a move and call on the Palestinian people to revive the intifada if these unjust decisions on Jerusalem are adopted,” Hamas said in a statement. Any decision to move its embassy there would be “a flagrant attack on the city by the American administration” and give Israel “a cover for continuing its crime of Judaising the city and emptying it of Palestinians,” it said. 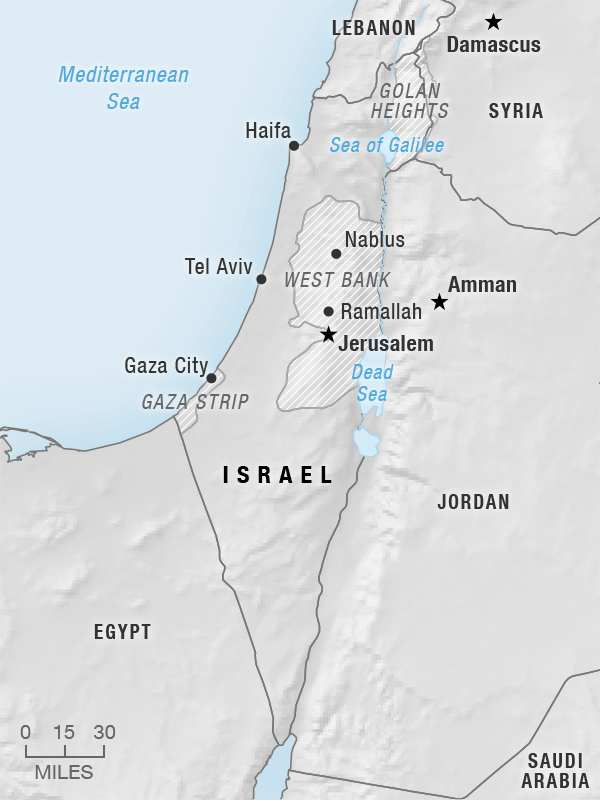 The status of Jerusalem is a key issue in the Israeli-Palestinian conflict. Both Israelis and Palestinians claim the city as their capital and previous peace plans have stumbled over debates on whether, and how, to divide sovereignty or oversee holy sites. The last Palestinian intifada, or uprising, which claimed the lives of some 3,000 Palestinians and 1,000 Israelis, was sparked when conservative leader Ariel Sharon visited Jerusalem’s Temple Mount in 2000. Since 1995 it has been US law (the Jerusalem Embassy Act) that Washington’s embassy in Israel must be moved from Tel Aviv to Jerusalem…. President Trump has signed the waiver once, and grudgingly, after vowing to Jewish-American supporters that he would be the president to finally make the switch (from Tel Aviv to Jerusalem to uphold US law). The next deadline came [yesterday, but President Trump has delayed his decision], and some in Washington suggested that he was planning a speech on the issue before Vice President Mike Pence heads to Jerusalem. The White House has described reports he may refuse to sign the waiver as premature — but sources told AFP they expect Trump to formally declare Jerusalem Israel’s capital. Read: What is Jerusalem's Temple Mount and Why Is There So Much Fighting Around It?